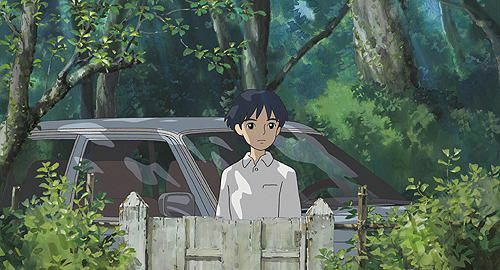 Studio Ghibli typically releases one of its magical animated films a year, and its 2010 offering hit the Japanese megaplexes in July of this year. It was the first film not helmed by legendary director Hayao Miyazaki, but was instead directed by his protege. 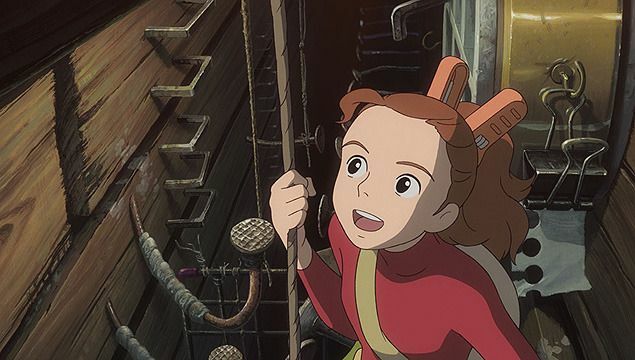 The response has been overwhelming: Miyazaki can finally retire at ease, because Studio Ghibli’s future is in good hands. The movie is called Arriety The Borrower, and is inspired by Mary Norton‘s book The Borrowers. It’s about a family of tiny people who live under the floorboards of a house, and one day they accidentally reveal themselves to the inhabitants. 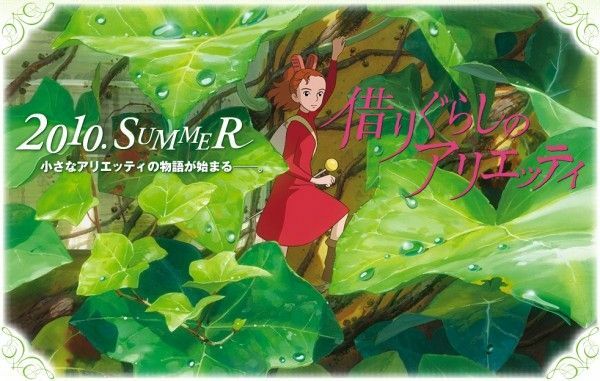 It has dashes of My Neighbor Totoro‘s meeting-with-a-fantasy-creature combined with Kiki’s Delivery Service‘ young-girl-coming-of-age-story. 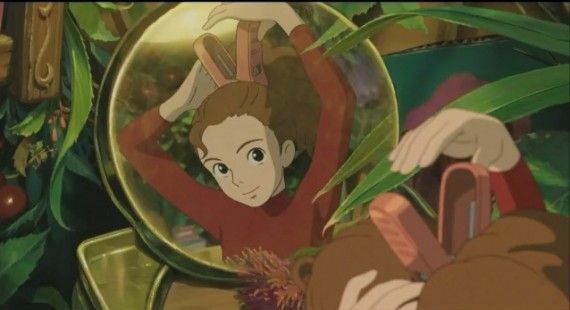 Coming off of Ghibli veering young with Ponyo on the Cliff, Arriety appears to be a return to the young female heroines of Nausicaa and and Princess Mononoke, two of the strongest heroines to come out of Ghibli, but the movies were not my favorites to say the least. Both were a tad heavyhanded. 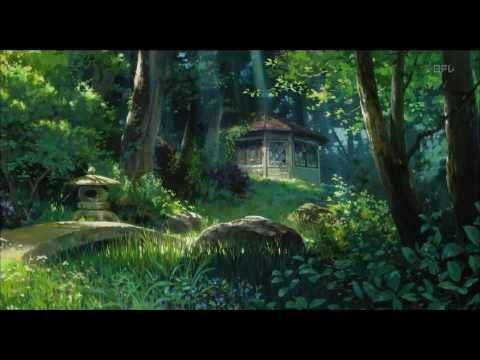 In case you were wondering, my favorite Miyazaki is Spirited Away, followed by Howl’s Moving Castle. Arriety doesn’t look to hit the US shores until 2011, but I’ll be eagerly anticipating its arrival. I love the visuals and the melancholy with a dash of fantasy vibe. When you watch the trailer, I bet the song will entrance you. Just so you know, its called Arriety’s Song and is composed and sung by Cecile Corbel. I’m SO SO SO excited!!! kya!!! 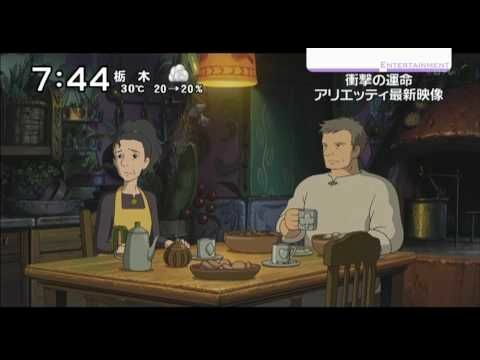 i know it’s not miyazaki but as long as it retains his films’ quality and spirit. As for my favorite… i would say Howl’s moving castle hands down… although I like the book better but that’s because i’m a diana wynne jones fan. second would be ponyo and spririted away tied. tee hee… i’m so hyped!! Can’t wait! Can’t wait!!! Howl’s moving castle is one of my favorite movies ever and I love Studio Ghibli. Honto? Sere sweetie you did not know our Great One was the voice for Howl himself? It’s like peanut butter meets toast, a match-made-in-heaven. Though, I can’t quibble bc I also adore the man, but Christian Bale is the voice of English Howl. I love both Howls!!! I am such a cheating cheater fan. I have the DVD version, and I watch the English dubbed with the kids, and the Japanese original by myself, late at night…. Yup, I didn’t know. *hangs head in shame* BUT I have an excuse. Back then I didn’t know much about Asian entertainment ( I didn’t even know WHO KimuTaku was. *hides* I thought he was a really good voice actor? I certainly didn’t know his name ). Back then I was more into animation. 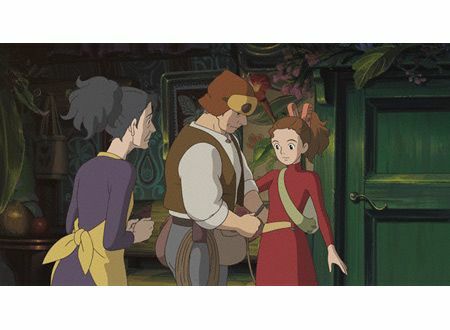 Very curious about Arriety the Borrower… they better make him proud… he deserves to leave the anime scene with a peaceful heart!! along with a massive My Neighbor Totoro stuffed toy.